It's all about your head! Pick your favorite English football team and start ruling the entire league in this fun soccer game! Play 1vs1 against the computer or make a friend cry with your skills. Try to score as many goals as you can in the matches and fight your way through the rounds right to the top of the list! 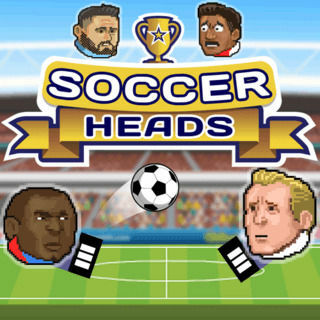 Soccer Heads - Find Soccer Heads in our vast HTML5 games catalogue. Only the best and newest HTML5 games for all audiences. Guaranteed success with Famobi.